We used Portakabin knowing we would receive a high level of service and the McLaren team on the Wembley projects were not let down. They provide great temporary office and welfare facilities finished to a very high standard and their customer service is excellent, from start to finish. The engagement with the building contractors, Portakabin, was always positive and they endeavoured to solve any issues promptly and effectively. This was extremely helpful and we appreciated all the support given as the construction of a new school was definitely not within our skill set. The quality of the building is to a high standard and we are now enjoying our brand new school. Portakabin moved from rough ground to the finished article within six short weeks. What they have provided meets our requirements precisely. The finish and build quality is excellent and certainly raises the bar in peoples expectation when they think of temporary accommodation. Portakabin really got under the skin of this project and solved our problem. They swiftly moved the project to a successful conclusion, providing a building that fulfilled all the requirements of our very strict brief. We were pleased to work with Portakabin on this high profile site in the centre of Manchester. Ensuring top quality accommodation and facilities for our people is a key priority for us on our projects. We’ve travelled a long way since 1961 and so have our buildings. Today, hiring a precision engineered Portakabin building is as easy as a phone call and buying a landmark modular building is up to 70% faster than building a conventional one. Operating in 10 countries, employing more than 1,750 people, Portakabin innovates, develops and delivers exceptional buildings, solving space problems and opening up possibilities for a huge variety of organisations, large and small. 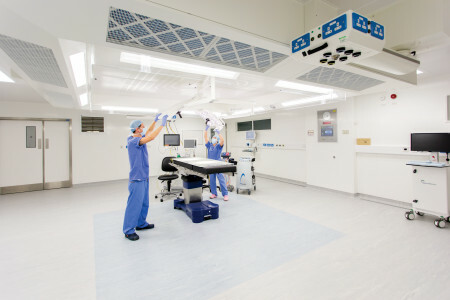 From site offices to operating theatres, Portakabin designs and constructs interim and permanent buildings for any sector and application.